Nice one. I’ll be there Tuesday midnight! To give you the kings cross explanation. When voldemort took harry’s blood in goblet of fire (that made dumbledore have a look of triump in his eyes when harry told him in book 4 of this), voldemort tied his and harry’s lives closer together. Harry was, of course, a vessel that, unknowing to voldemort, and to harry himself, contained a fragment of voldemort’s soul, so as long as that fragment existed within harry, he could not die. Voldemort, on the other hand, had, through harry’s blood, some of harry’s power, including the charm that lily inadvertidly placed on harry since the very beginning of the story. That intensified her protection that we learn about in book one, and voldemort, having harry’s blood coursing through his veins, and sustained by that life force, was keeping harry tethered to the earth as a sort of anti horcrux. When voldemort casts the killing curse, he uses the elderwand, a wand that had chosen harry as its master, so it is not going to kill its master, so it killed the only thing in harry that was not truly apart of harry: voldemorts soul. They both get knocked into limbo (kings cross), and harry choose to go back. In the end, dumbledore had hoped voldemort would take something from harry to regenerate his body so that it would protect harry, because dumbledore, even before chamber of secrets, suspected voldemort had a horcrux, if not more, since he still existed after the diary’s destruction. What dumbledore had not planned was that harry would gain a second line of defense in the elder wand, which he planned to go to snape. It is subtle, but it just takes a while to work out. the elder wand is not stating expliciately, but it does kind of make sense… where as dumbledore does talk about in the books that voldemort tethered harry to the earth and to life by taking his blood, and redoubling lily’s protection. Wow… Thank you very much for that !I had worked out about 80% of that but missed the wand bit. Very well said. And yes, I never thought of that Dumbledore was actually trying to save Snape from Voldemort by asking him to kill him (Dumbledore) instead of being killed by Draco. But of course, something else happened. Draco managed to disarm Dumbledore before Snape could kill him. So yeah, that makes sense to me now. I have never read a book like this that will make you read it over and over and yet you still have a lot more to learn and discover. It’s like a big giant puzzle! That’s why I’m a fan! Dumbledore did NOT plan the elder wand to belong to anyone after he died. Nice review. I appreciate it. From the beginning of the series, I could see great arguments either for Harry sacrificing himself in order to kill Voldemort (ala Data in the last TNG Star Trek movie), or having Harry live. I think JK Rowling could never make up her mind, so the whole King’s Cross segment of the book was Rowling eating her cake and having it too, in my most humble opinion. Come up with any explanation of Voldemort, shards of soul, Harry as a horcrux, etc., you want, and that’s what it boils down to. Of course, she isn’t the first author to kill off a character and resurrect him/her. And I have never figured out what that screaming baby was symbolic of..
A long while ago, a newspaper editor told me that HP2 read like HP1 so he told me to give up on the series. I’m glad I didn’t. I’ve had wondeful hours of enjoyment. Oh, sure, maybe it doesn’t qualify has Great Art, and she borrowed ideas. But everyone who came after the ancient Greeks, Babylonians, and Chinese has been using ideas created by people long dead, so that argument is a loser. Rowling created a world and sucked me in. And for that, I will praise her. She deserves every pound, franc, dollar, shekel, yen, and ruble she’s earned. I’m not sure if you’re trying to be clever and I’m missing the joke or not, but I’m responding anyway. I can’t tell you what “that screaming baby was symbolic of” but, I can tell you what it was. 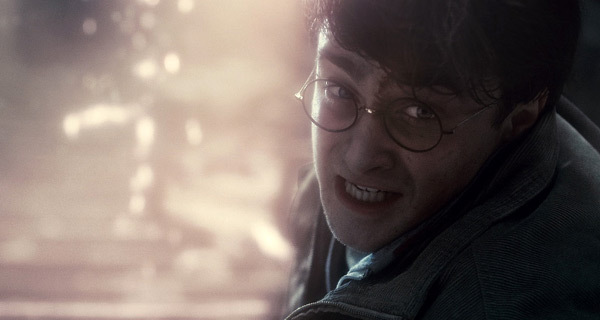 That was the bit of the Dark Lord’s soul that was in Harry. Forgive me if I missed the point of that line of yours. I liked the movie but was a little disappointed in how it was different in many ways to the book. I much prefer the book and hopefully when the movie series gets remade one day in the future (trust me, it will), it will be done better and be more like the book. David Yates has once again failed as a director. He should’ve gotten tips from Alfonso, who did the 3rd film (brilliantly, I might add). I don’t really see how this series can be re-done in the future. It might all the re-released again, maybe in 3D, but I think we can be happy with the way it is. Books and films are a different type of media. What works on the written page doesn’t necessarily work on the screen and viceversa. Yes, there have been some painful edits in the translation from the JK Rowlings books, but most of them were necessary. In fact there have been a lot of improvements too and I truly believe the versions we eventually got could not have been better (especially for the latest instalments). Why does everyone praise the Prisoner of Azkaban (the movie) so much, I found it a great disappointment compared to the book. The third book was my favourite but I think the third movie is my least favourite. The Third movie was the first one to be actually “directed”. The first two were basically faithfully adaptations of the books but they didn’t have any direction. There was no imprint, no personal take, no style. Anyone could have been the director and it would not have made a difference. Afonso Cuaron was the first of a new breed of “brave” directors who realised (thankfully) that in books and films are two different media. Yes, the 3rd book was one of the best, and the third film is not necessarily the best one, however it was after that one that the critics started to look at the HP films not just as a money-making machine. He also gave it that slightly grittier and darker tone that wasn’t quite there in the book yet, but that was going to influence great part of the sequels. I cannot believe you tagged Alan Rickman on your article, but only contained a single phase “the flashback sequence with Snape” in this review article (I refuse to call it a sentence). You did not even mention Alan Rickman in the article! 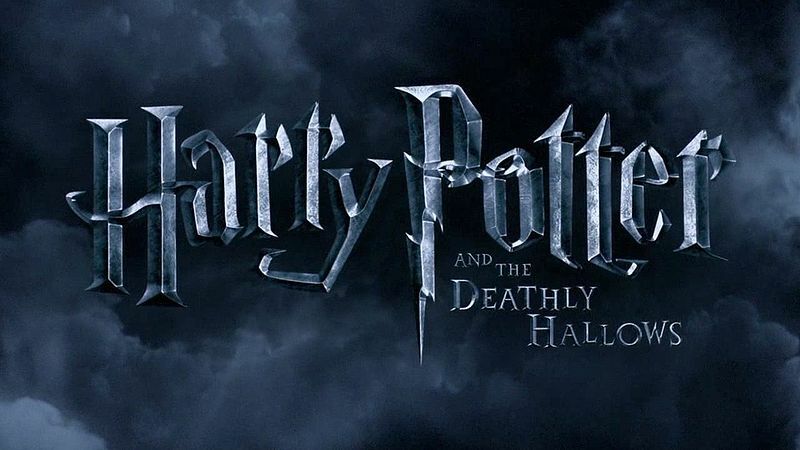 This film and the whole Harry Potter series is not revolved around the Trio, without Alan Rickman’s character Severus Snape, there is no Harry Potter story; without Alan Rickman’s acting, the Trio, especially Harry’s acting would be much worse off. Please give credit when credit is due. You’re absolutely right: Alan Rickman does deserve to be mentioned, just like all the other British Stars that crowd the series. I think I did mention him in my review of the previous film though, and I didn’t want to repeat myself. However I do hear there’s a campaign to get him nominated at next year’s Oscars. Let’s wait and see. The reason why I mentioned the trio is because, while Rickman has ALWAYS constantly being very good, they were actually dreadful in the beginning (cute, but dreadful!) and on this one I thought they did pretty well. As far as the tagging system is concerned, most of it happens automatically to be honest. As an Alan Rickman fan it is already annoying to only see him in glimpses at nearly all the Harry Potter films, David Yates has came on record saying they originally had “The Prince’s Tale” more Canon like, but felt he had to cut it to pieces to show the emotion – means even less screen time for us and the Oscar. I am not sure if this change make the film more emotional, because I would imagine Rickman is capable to convey it even with the Canon material. I believe Judi Dench won an Oscar with 9 minutes of screen time, here Rickman got even less. Rickman has been deserving an Oscar for a long time… I’m sure we’ll be seeing his name up there soon enough. Lovely review. I agree with you on a lot of points. Stripping aside the “confusing” plot (I agree that it’s confusing for people who haven’t read the books or haven’t read them often), it was a beautifully-made film. In particular, the balance between silence and a beautiful score written by Alexandre Desplat was fantastic. It wasn’t shot badly, either. Even though I’m a mega-fan, and there were things I didn’t like or didn’t compare to the book, it’s hard for me to find something wrong with the film. As a huge Snape fan, Alan Rickman DOES deserve that Oscar. Everyone did fantastic but other standouts were the trio (seeing them grow up into fantastic actors as well as people has been magical), Matthew Lewis, and I’d even argue for the Malfoys.